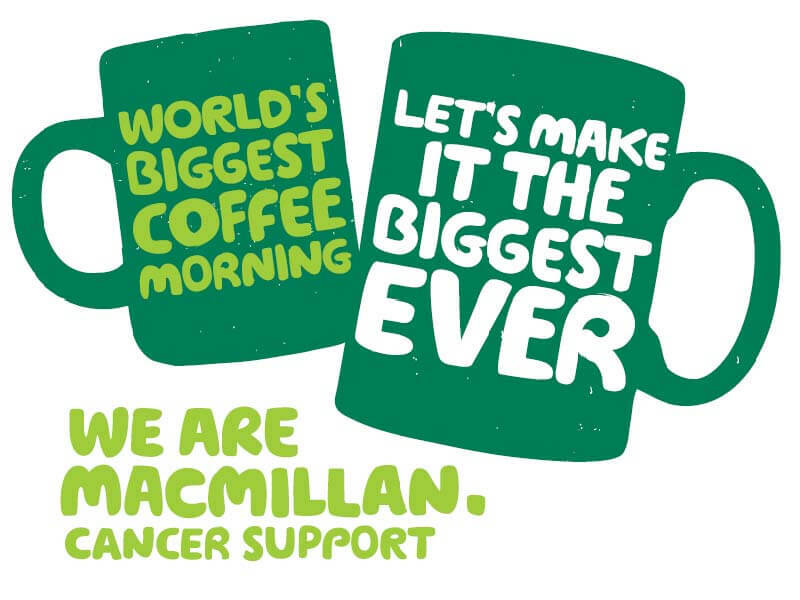 Alexander Hancock is proud to announce that we will be taking part in the World’s Biggest Coffee Morning on Friday 28th September. It is Macmillan’s biggest fundraising event for people facing cancer and donations on the day are made to Macmillan. One in two of us will face cancer, and the money raised at the coffee morning will help them make sure no one has to face it alone and gives people the support need to live their lives as fully as they can. If you are lucky enough to have an appointment with us this Friday, our team will be putting on our baking hats and aprons and baking up a selection of delicious sweet treats for the office! Fierce rivalry can be expected to ensue..
More information on The MacMillan Coffee Morning can be found can found by visiting the link below..